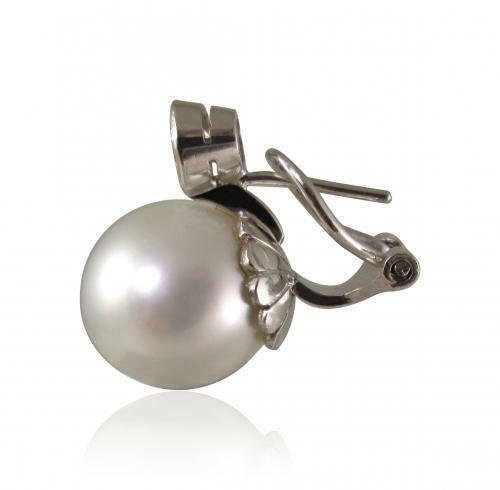 South Sea Pearl Earrings set with diamond at the top. Set in 18ct white gold. Each Pearl of 11mm diameter. Diamonds of 0.30ct each in milled edged settings.